Mental health advocate Debbie Osteen serves on the National Association for Behavioral Healthcare Executive Committee. The UHS Patriot Support Program offers specialized treatment for active duty service members and veterans. Giving leadership the tools to create a better future for our employees and the people we serve. It may be a long journey to finally defeat Alzheimer’s. John Willingham is making the trip on his bike. 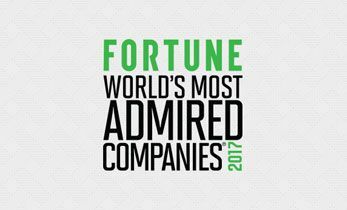 Fortune listed Universal Health Services as one of the "World's Most Admired Companies" again in 2017.